Yesterday’s Papers: Who was “Captain Jack”? 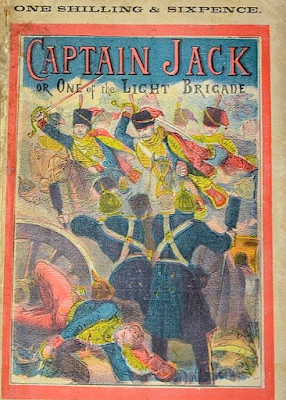 THE SERIAL Captain Jack; or One of the Light Brigade was a story about the Crimean War written by George Emmett and first published in The Young Englishman’s Journal in 1868. It was inspired by the success of publisher Edwin J. Brett whose Boys of England, launched in 1866, had become an extremely popular weekly boys’ story paper. EMMETT BROTHERS. George was the eldest of five brothers who established their own publishing concern in London and for a few years were Brett’s greatest rivals. All five brothers — George, William, Henry, Thomas and Robert — wrote for their own papers, with George becoming the most prolific and the best-known. TRUE OR FALSE. But was this true? It is certainly the case that the Regiment of the 17th Lancers (Duke of Cambridge’s Own) fought at Balaclava and took part in the Charge of the Light Brigade in October 1854, and also helped with the mopping-up operations after the Indian Mutiny in 1858. But there is no record of a George Emmett having served with any regiment in Balaclava, let alone the 17th Lancers, and furthermore he does not appear on any of the casualty lists from the Crimean War. “HEMMETT”? 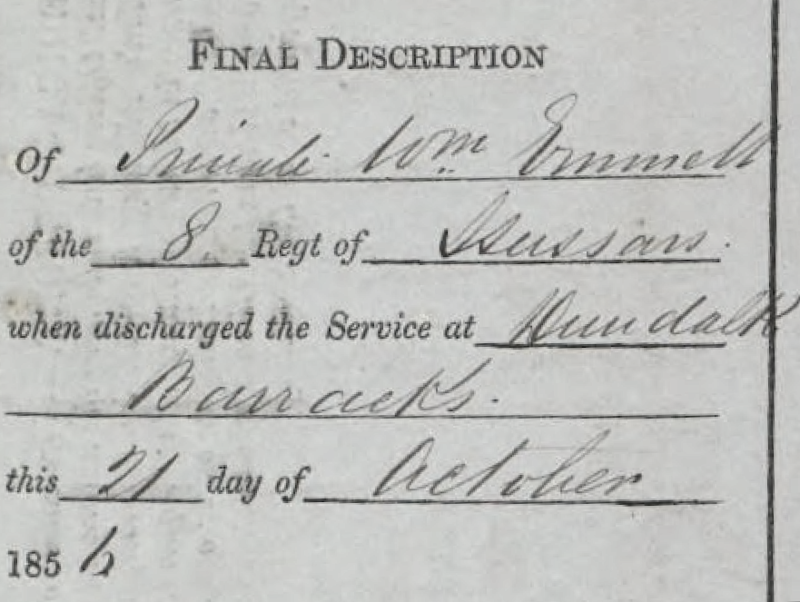 There is, however, a record of a Private George Hemmett — spelled with an H — who served with the 8th (King’s Royal Irish) Hussars in the Crimea in 1855. He enlisted at Westminster on 28 November 1853, aged 19. It is thought that the writer George Emmett was born in 1834, so he would have been around 19 years old in 1853. George Hemmett joined his regiment in the Crimea in 15 June 1855 (eight months after the Charge of the Light Brigade), and was promoted to Corporal on 2 March 1856. 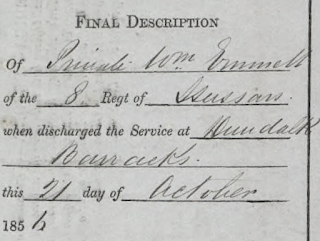 Just over a year later, after serving for 3 years and 133 days, he was discharged on 9 April 1857 (before the Hussars were sent to India to help deal with the Indian Mutiny). The discharge record gave his name as “Emmett”… He was awarded the Crimean medal with clasp for Sebastopol, meaning that he served at the fall of Sebastopol which took place on 8 September 1855. A record in the 1861 census shows a George Emmett serving as a private in the 10th Lancers, stationed in Hounslow, Middlesex. It gives his age as 22 (i.e. born in 1839) and his birthplace as Ireland — intriguing, as the publishing Emmett family originated from there. This may be the same George Emmett who was discharged from the Hussars, and who simply reenlisted, giving false information as to his age etc., but it cannot be proved or disproved. There are no further census records for a George Emmett born in Ireland in or around 1839. Neither are there any census records for a George Hemmett. The mystery is compounded by the fact that George Emmett the writer is not recorded in the census returns for 1851 and 1861, although it is known that he was in England in 1866 when he married Emily Dawes. He went on to have five children with her, and the census return for 1871 shows him living at Herbert House, Spencer Road, Brixton (his name was shown as Emmitt), along with his wife and their first four children. WILLIAM EMMETT. 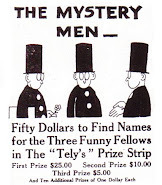 A further mystery involves George’s brother William Leeson Emmett, who became an active partner in the family’s publishing business as well as a writer of boys’ adventure stories. 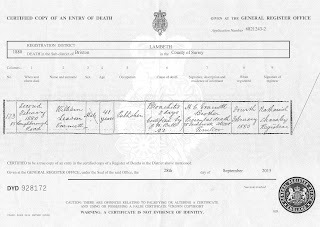 William was born on 15 July 1838 (with his birth being registered on 27 July 1838) in Newington, London, and baptised, as William Leeson Emmett, at St. Dunstan-in-the-West, Fleet Street, London, on 4 July 1841. In the 1851 census record he is living at 6 Great Western Terrace, Chelsea, along with his parents, sister Sophia and his brothers Thomas, Robert and Henry. In September 1857 he married Laura Elizabeth Crisp, in Camberwell, Surrey, the marriage record giving his occupation as shopkeeper. They went on to have at least five children, the first born in 1858 and the second, rather strangely perhaps, born in 1867. 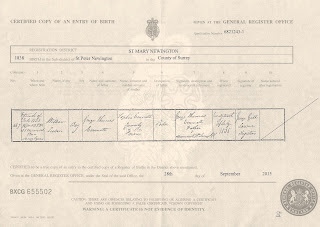 Only the first child, Laura (born 30 September 1858) was baptised, at St. Dunstan’s, Stepney, on 28 November 1858. The baptism record shows William’s occupation as that of a letter carrier. Was this, by any chance, the same William Emmett who served, albeit briefly, in the Crimea in early 1855? The records state that a William Emmett, born on 28 July 1837, enlisted in the Rifle Brigade at Westminster on 28 July 1854, on his 17th birthday. He was described as being 5 feet 7 inches tall, having a fresh complexion, hazel eyes and light brown hair, previously a servant, who was transferred to the 8th Hussars at his own request on 12 October 1854 (therefore serving alongside George Hemmett). He was then sent to the Crimea on 29 April 1855, where he served for four months (and subsequently awarded the Crimea Medal with clasp for Sebastopol) before being moved to Turkey, where he served for a further five months. 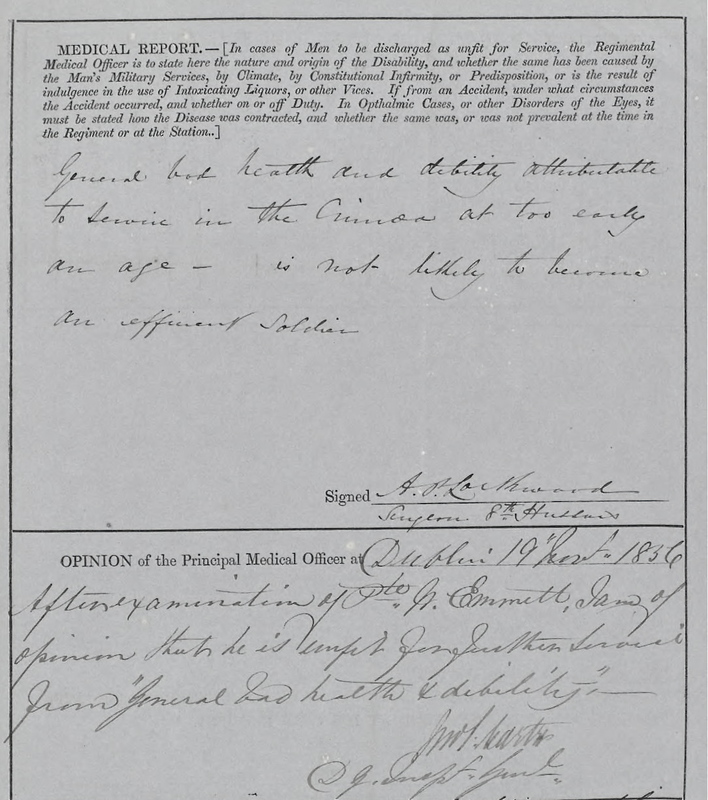 He was discharged from the Hussars’ barracks at Dundalk, still a Private, on 21 October 1856, on the grounds of reduction of the army and being totally unfit for the service (regarded as having general bad health and debility attributable to service in the Crimea at too young an age) and not likely to become an efficient soldier. He therefore only served as a soldier for 1 year and 85 days. 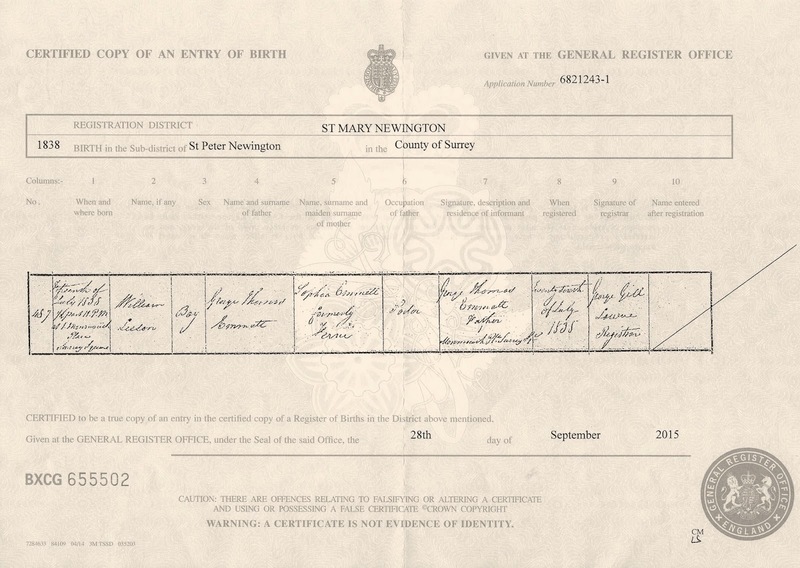 The records also show that after his discharge he was living in Walworth, of which Newington was a part. Just to confuse matters, there is an online record of an auction of medals which included a Crimean Medal with clasp for Sebastopol awarded to a Wm. Emmett of the 95th (i.e. 95th Regiment of Foot, otherwise known as the Rifle Brigade). 1897 DEATH. His brother George Emmett died in August 1897, aged 62, and was also buried in Norwood Cemetery. 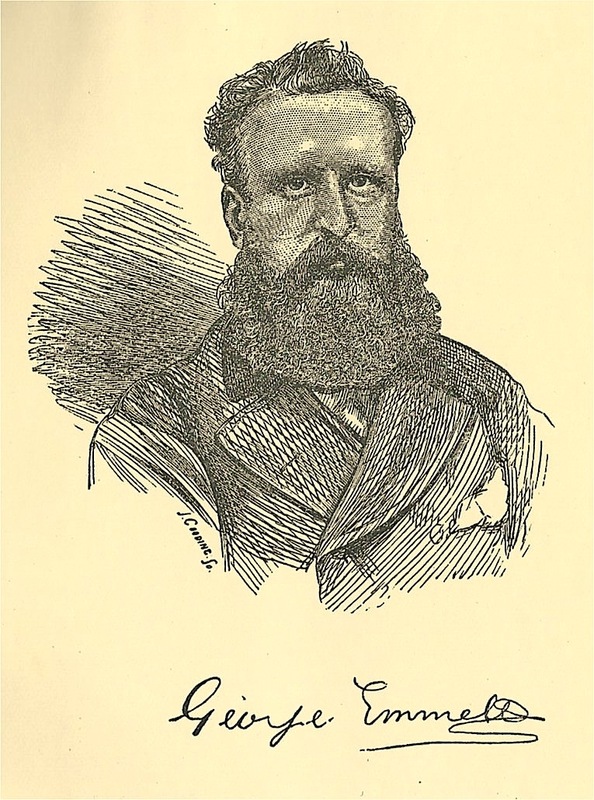 He had had a chequered career as a publisher — for several years he was the driving force behind the Emmett’s publishing business, which had begun in Essex Street, Strand, in 1867 before moving to Fleet Street and then to Hogarth House, Fetter Lane, in 1871, and finally taken over by Charles Fox in 1877; he was fined £50 for publishing an obscene magazine, The London Peep Show, in September 1879, and later that year was declared bankrupt. He continued writing, but was in constant financial difficulties, and was obliged to turn to the Royal Literary Fund for help three times between 1893 and 1896. FACT OR FICTION. The evidence suggests that George Emmett’s account of the war in the Crimea was fiction, pure and simple, and not based on his own experiences but drawn from contemporary published accounts, of which there were many. 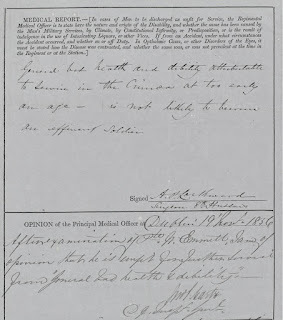 Even John Allingham hinted at his doubts as to the veracity of George Emmett’s claims, noting that Emmett told the story of his involvement and injury at Balaclava “several times, but (…) slightly varying in details…” Similarly, it would appear that he was not present at the Siege of Lucknow, and that his story was, again, based on contemporary accounts. He may well have served in the army, but he was not present at the conflicts he portrayed. His brother William may also have served in the army at around the same time, but even this is unproven, and he, too, would not have been a witness to the battles described by George, and therefore could not have been a source of information. There is, of course, no concrete evidence that the William Emmett recorded as serving in the Rifle Brigade and then 8th Hussars was the same William Emmett who went on to become a writer and publisher, although the available evidences is persuasive. 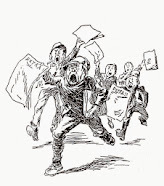 There is also no concrete evidence that the George Hemmett who served for the 8th Hussars was George Emmett the writer. It is, though, telling that William Emmett was transferred from the Rifle Brigade to the Hussars at his own request, which might indicate that, if George Hemmett of the Hussars was his brother, they wanted to serve together. 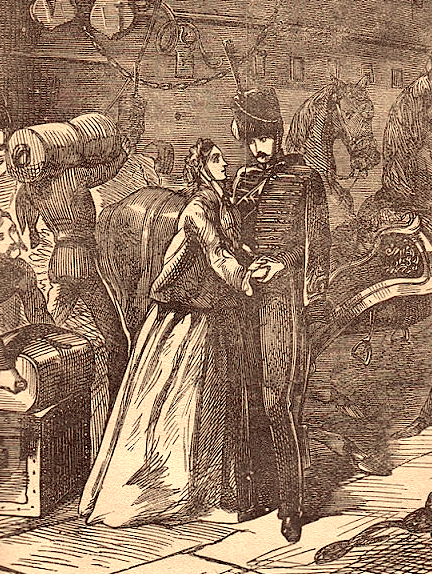 See Lives of the Light Brigade HERE. See Captain Jack; or One of the Light Brigade HERE. Excellent - a terrific article. I'll let people in some of the Crimean War-interest groups know. Once again I'm struck by a feeling that there's something odd about how little e.g. census info there is about the Emmetts. But I haven't given up all hope of making some connections. Do you have any idea how I could get a copy of the text of Captain Jack particularly the Charge of the Light Brigade/Balaclava section?. I'd rather like to compare it to eyewitness and other accounts.